Vacation time is too precious and too expensive to be left to chance, justifying zero tolerance for poor service and bad taste. And it is offensive to be lured in an establishment by misleading advertising, particularly the one that presents itself in the form of "independent" reviews or shiny awards. Fine Traveling is a platform which hosts editors' and visitors' reviews & photographs by focusing only on the places where people are doing an awesome job, rather than a lousy one. The result is a collection of fine establishments around the world, regardless if they hold 3 stars or serve €3 tapas. In regards to hotels, only 3, 4 and 5 stars are included because of their amenities. Places of interest can be anything that is worth a visit without much fuzz. 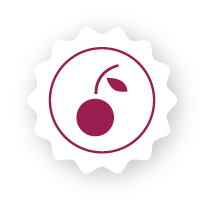 Cherry awards are awarded only by FT Editors to establishments of the finest quality. Read more here.